Depression is a mental illness that can affect men of all ages and backgrounds. It is very common, around one in eight American men experience depression at some stage in their lives. When men have depression, it is much more than a temporary bad mood that lasts a few days. Rather, depression is a long-term condition that can dramatically affect men’s daily life. Since suicide is the leading cause of death for men under the age of 44, and most of the suicides in America are by men, it seems clear that many men are struggling in silence. Social and cultural expectations about what it means to be a man can contribute to depression and suicide. Expressing feelings may be seen as a sign of weakness by some men. This can mean that men choose not to reach out to others for advice or help when they need it. The causes of depression are diverse and complex. They may include genetic factors, personality factors, family history, adverse early life experiences, and current life stressors. Some episodes are triggered by a long-running build-up of pressures, while others are brought on by a specific issue or event, such as a relationship breakdown, a change in health or losing a job. At other times, depression can strike without a clear cause or warning. Mental health conditions often begin in adolescence or young adulthood, and rates of depression in the 16 to 24 age group are among the highest of all age groups. Some young men have a hard time finding their place in the world and transitioning to adulthood. Men from rural areas can also be vulnerable to depression. Changing economic circumstances, feelings of isolation, and the stress of rural life can all contribute. Discrimination, bullying and prolonged or intense stress in the workplace have been shown to be major contributors to depression. 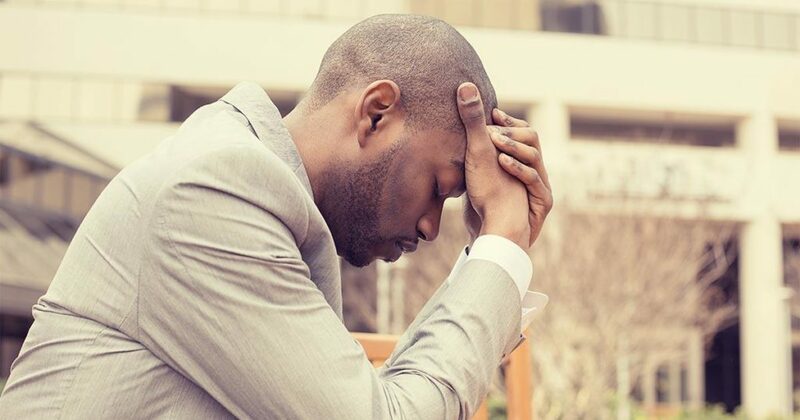 The stress of unemployment and dealing with financial burdens can also have a draining emotional effect on men, especially if they have been brought up to believe they have to be the provider for their family. Groups who face exclusion and discrimination also suffer from higher rates of depression. This includes gay, bisexual and transgender men, and men with a disability, among others. Depression is characterized by feeling sad, down or miserable for over two weeks, and losing pleasure and interest in life. Some men with depression may feel irritable, angry or violent. The first step towards successful treatment of depression is for men to understand that depression is a common condition and that there is no reason to feel ashamed. Getting help sooner rather than later is the key to preventing the negative impacts these changes can have on man’s life.